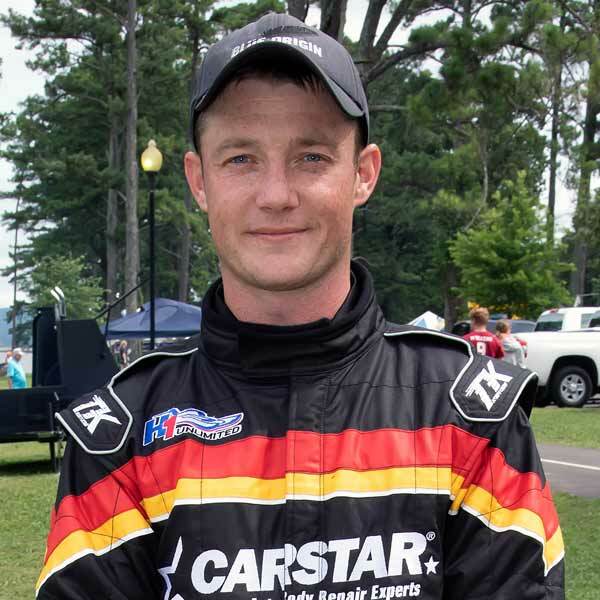 Aaron Salmon is one of two rookie drivers in the 2018 H1 Unlimited hydroplane season. The 26-year-old resides in Bonney Lake, Washington, is known sometimes as “Fish,” and has raced every class of outboard hydroplane, honing his driving skills along the way. His hydroplane racing involvement reads like a novel any aspiring race fan could dream. A first-generation boat racer, Salmon began his career in the J-Stock outboard hydroplane class at the age of 15. With the help of his mom and dad, he built his first boat through the Hydroplane and Raceboat Museum’s Junior Hydro Program, which allows kids from 9 to 16 years old an affordable way to enter hydroplane racing. The kids learn wooden boat building skills and rigging while building their own J-Hydro at the museum’s facilities in Kent, Washington. After the families complete the building of the outboard hydro, the kids race on lakes around the United States. That’s where Salmon caught the hydroplane bug. By the end of his first season driving outboard hydroplanes, he was racing in five different outboard hydroplane classes. Salmon continued racing and when while attending Shorecrest High School in Shoreline, Washington, he built a larger C-Stock Hydroplane as his senior project. It was during his high school years he began volunteering on the U-11 Unlimited Racing Group’s H1 Unlimited hydroplane. After a few years volunteering, the team hired Salmon full-time, applying the craftsmanship he learned on his smaller outboard hydroplanes to the larger, more powerful H1 Unlimited hydroplane. During his five years with the team, Salmon was fortunate to travel with the Unlimited Racing Group team to race in Doha, Qatar, and an exhibition in Coniston, England. During the Coniston Power Boat Records Week in 2011, which had brought together all classes of boat racing from all over the world since its inception in 1970, he raced his outboard hydro that he brought along. In 2014, Salmon stepped up to the more powerful and larger inboard hydroplane class running a 5-litre. He has also raced the 1-litre inboard hydroplanes, in which he won first place in the 2017 San Diego Bayfair event while capturing third place in the 1-litre class national championship. The newest chapter in his colorful story has been a dream come true for Salmon. In the 2017 offseason, he was contacted by Stacy Briseno who operates the U-99.9 Leland Racing Team to see if he would be interested in driving for the team. Without hesitation, Salmon agreed to drive in the 2018 season. Salmon is now the team’s 16th rookie driver since 1978. Like the early days at the Hydroplane and Raceboat Museum building his first boat, both his mom and dad are on the crew of the U-99.9 Miss ROCK presents Carstars. When not at the Kirkland, Washington, boat shop, Salmon is employed in the engine department at Blue Origin, where he works on turbo machinery, the same company where the current H1 Unlimited driver’s champion, Jimmy Shane, is employed. Salmon, who is single, says he enjoys the competition in racing, but also says his favorite things are the family, friends, and experiences made along the way. 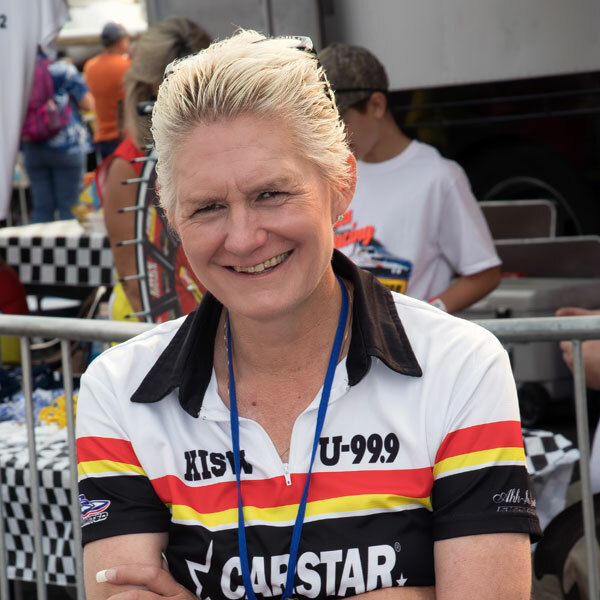 U-99.9 team founder Fred Leland, who passed away on May 21, 2012 made arrangements for his racing team to continue on and not die with him, and Stacey Briseno continues Fred’s legacy as the owner of the U99.9. As a designer, Leland experimented with a number of interesting concepts. These included a hull powered by a massive 2,500-cubic-inch Packard PT Boat engine. In 1992, Fred upgraded his program with a new hull, powered by a Lycoming turbine engine. With Nate Brown as driver, the craft was instantly competitive. Some of the Unlimited sport’s most respected chauffeurs have taken a turn behind the wheel of a Fred Leland race boat at one time or another. In addition to Brown, these include Chip Hanauer, Dave Villwock, Mark Evans, Mike Hanson, Scott Pierce, Terry Troxell, and Greg Hopp. Leland recorded his first Unlimited victory at the 1994 Texaco Cup on Seattle’s Lake Washington with Villwock as driver. Fred’s most successful season as an owner is 1996 when his PICO AMERICAN DREAM swept the competition, claimed six victories, and won the National High Point Championship, also with Villwock. The 1997 season was another triumph. With Mark Evans at the wheel, PICO AMERICAN DREAM won four races in a row at the Tri-Cities, Kelowna (British Columbia), Seattle, and San Diego. In 1999, Fred caught the racing world by surprise when he lured Lee “Chip” Hanauer – the winningest living Unlimited driver at the time – out of self-imposed exile to work his particular magic for the Leland Unlimited team. Chip hadn’t driven a U-boat in three years. Hanauer, nevertheless, got back into the spirit of things rather quickly. He piloted MISS PICO into the winner’s circle at his debut race in Lake Havasu City (Arizona), and went on to win at Madison (Indiana), and Detroit (Michigan). Fred built no fewer than eight turbine-powered Unlimited hulls between 1992 and 2000. Your car is more than just a car. When an auto accident slows you down, CARSTAR Auto Body Repair Experts is here to get you back up to speed. As North America’s No. 1 brand of auto body shops, we know just how to take the stress out of your collision repair. Miss Rock returns! 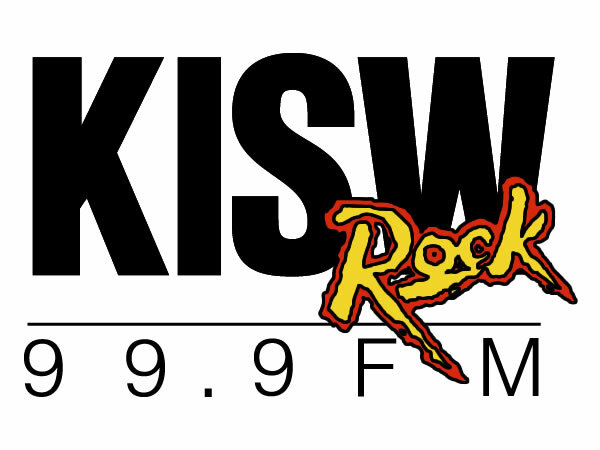 KISW 99.9 FM Seattle comes aboard the Leland Unlimited entry after having been gone from the sport since 2005. Follow “Seattle’s Best Rock” on the radio at 99.9 FM and on the water during the 2018 H1 Unlimited season!